MYTH 1 Asthma and allergy sufferers should not have carpet in the home. MYTH 2 Carpet is hard to maintain - it stains and wears out very easily. 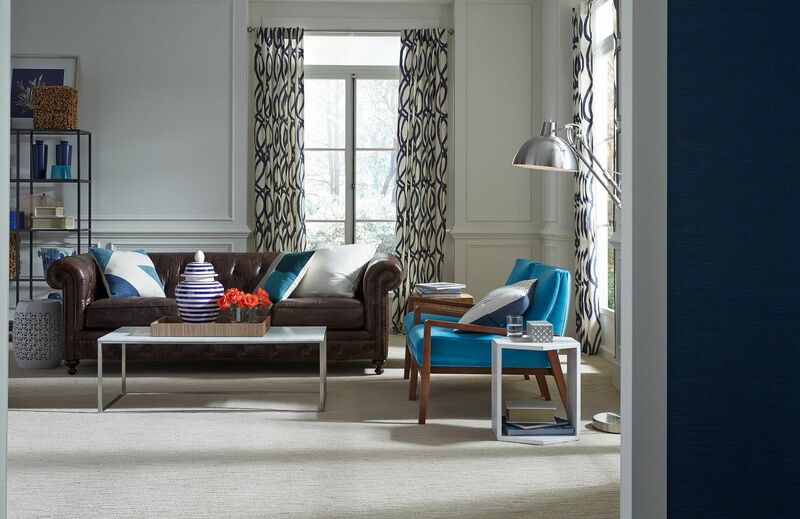 FACT: Simple steps can extend the life of your carpet and keep it looking new. Frequent vacuuming removes soil particles before they get below the surface of the pile, where they are far more difficult to remove. Carpet in a typical household should be thoroughly cleaned every 12 to 18 months. Hot water extraction systems provide the most effective cleaning. Professional carpet cleaners generally get the best results. MYTH 3 Carpet is outdated and boring. MYTH 4 Carpet emits harmful chemicals that cause health problems. FACT: Floor manufacturers now provide many eco-friendly options for environmentally-conscious consumers. Shaw carpets made of Anso nylon can be recycled and remade into new carpet fiber. The process helps turn carpet into a renewable product and keeps carpet waste out of landfills. Shaw's ClearTouch carpets contain a minimum of 25% recycled content made from plastic bottles and Shaw's ClearTouch Platinum carpets contain a minimum of 50% recycled content. That's kind of a big deal!